This Easter print and cut food craft toothpick flag sheet can also be used to make stickers or mini cards or gift tags! It's so easy to make cupcake flags - simply stick onto toothpics, craft sticks, drinking straws or pencils. 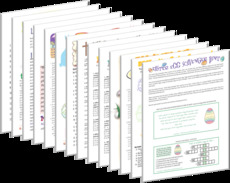 Easter Basket Cupcake Toppers Printable Sheet - Adobe PDF, 8.5" x 11" contains 12 stickers with design shown above. 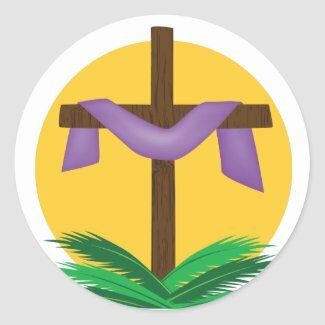 Printable Easter basket design cupcake toppers. Print a sheet out and cut using scissors, craft knife or a standard papercraft punch.